Salt Therapy is completely safe. It is a 100% drug free, non-invasive and comfortable treatment. Due to the low controlled concentration of salt (15-20mg/m³) dry salt therapy is usually side-effect-free.The only people who should avoid being in a salt chamber are those with severe chronic respiratory issues and those with open wounds and sores. It is advisable that people going into the salt room remove all jewelry and electronic devises since salt can be corrosive to exposed metal. 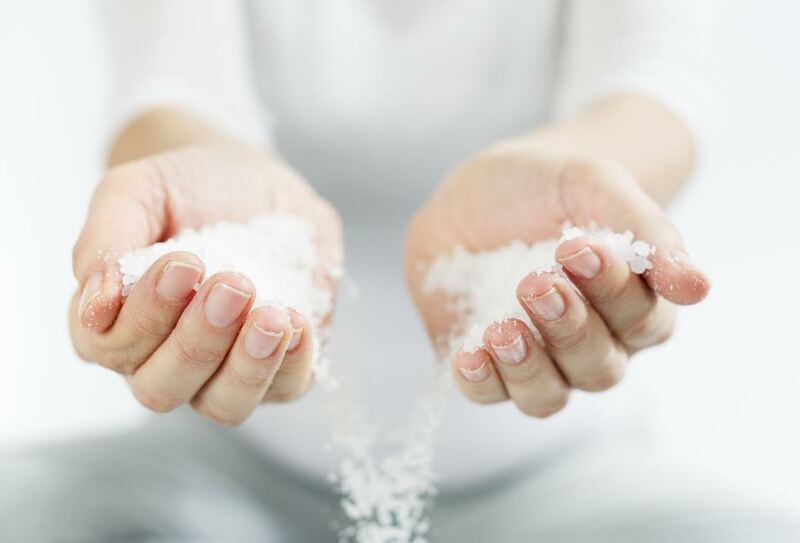 Salt therapy is not only safe for children, it is a highly recommended natural treatment. in fact, children especially react very well to treatment for hay fever, bronchitis and asthma. There are no potential harmful side effects. The treatment is suitable for children of any age. Interestingly, children respond to the therapy more quickly than do adults. During a salt therapy session children can play with toys, read books and interact with other children. What can dry salt therapy do for your airways? Depending on your respiratory discomfort, you might begin to breathe more easily during your first treatment already, and as your sessions continue you will begin to find your symptoms such as sneezing coughing and shortness of breath are alleviated and your general health and quality of life are improved. Can salt therapy help sports performance? To perform at your best you need to ensure you’re breathing as efficiently as possible. Salt therapy could help normalise your breathing pattern, increase your stamina and endurance, and ensure your body performs at its optimal level. How much salt do people inhale during a session? People inhale just a few milligrams of salt during a 45-min session. So, we can barely speak about intake of significant amount of salt. In a healthy, young adult, tidal volume is approximately 500 ml per inspiration . The average human respiratory rate is12-20 breaths per minute . So, people inhale up to 500 ml * 20 breaths = 10 l = 0.01 m3 of air per minute. If there is 2 mg of dry salt aerosol in 1 m3 of the salt room, people will inhale 2 mg * 0.01 m3 = 0.02 mg per minute or 0.9 mg per 45-min session. Is wet & dry salt therapy the same? Wet aerosol mainly settles in the upper respiratory tract and the central trachea and bronchi, due to the hygroscopic characteristics of moist particles. And can provoke a hyper-reactive response in people with asthma and COPD. Research shows that moist saline aerosol is significantly less effective than dry salt aerosol and can cause adverse effects. What if I have other health issues? Some people are concerned about the intake of salt because of issues relating to diet, high blood pressure and hypertension. This type of salt intake is connected to the digestive track. Dry salt therapy is different as it associated to respiratory system. When inhaled, the amount of micro salt particles entering the respiratory system is extremely low that it doesn’t present any risk to your health. If you are concerned about your health, it is always best to consult your primary care physician. When should salt therapy be avoided? Halotherapy is recognized as safe and effective wellness practice for preventive and restorative health care. It is not a medical treatment and does not offer a cure! Halotherapy is not recommended for people with contagious diseases, fever, open wounds, cancer, severe hypertension, mental disorders and active tuberculosis. Salt therapy is not advised during chemotherapy as the detoxification process of dry salt therapy may react with the chemo. Pregnant women should consult with their doctor before using halotherapy. Anyone with serious health concerns need to seek proper medical advice and care. You can purchase Himalayan “pink” salt at Spiro!